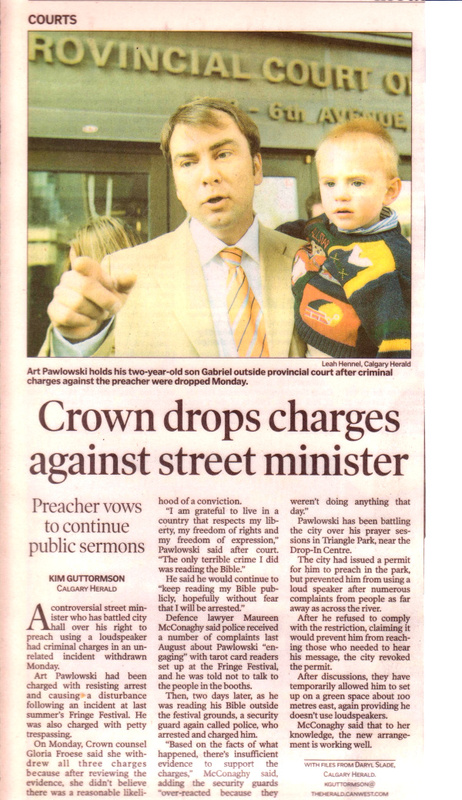 Street preacher Art Pawlowski can continue his public ministry in a downtown Calgary park for the time being. 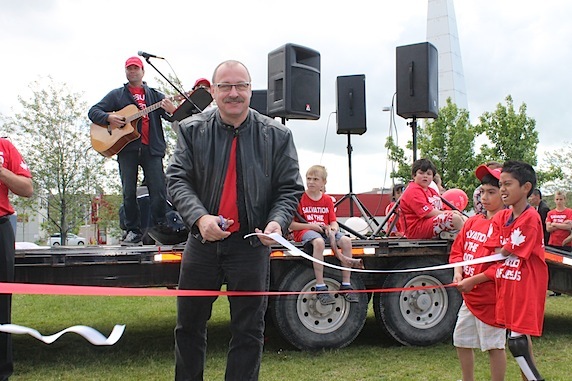 The City of Calgary is seeking an injunction to stop the meetings, but its case was adjourned this week so Pawlowski’s lawyer can try to prove allegations that Alberta Justice lawyer Donald Padget is in a conflict on interest on the case. Pawlowski’s events sometimes draw up to 500 people, many looking for a free meal.